I have found a bullet when I was cleaning the bilge. It was a big one! It had small screws, so it was obvious that it was a ‘souvenir’ that was mounted on the bulkhead. The boat was moored in ACY marina in Dubrovnik when the war in Croatia started. The whole town and the marina were surrounded and heavily bombed. 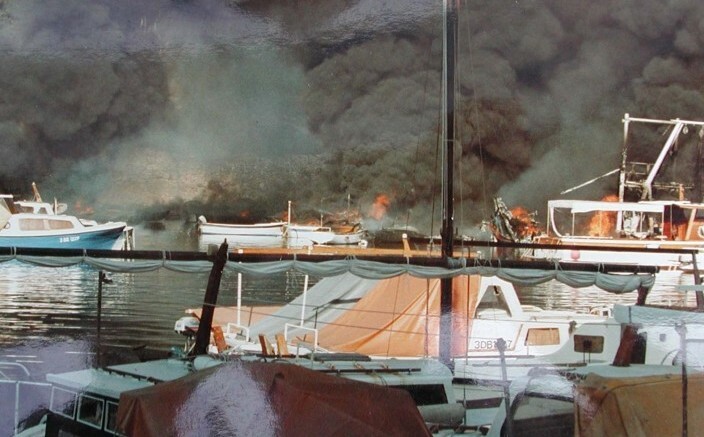 Mladen Šutej negotiated and got a permission to enter the marina and leave with a boat before marina was occupied when all of the boats were destroyed. There were 286 bullet holes in the hull! But Mladen Šutej assured me that everything was carefully repaired. 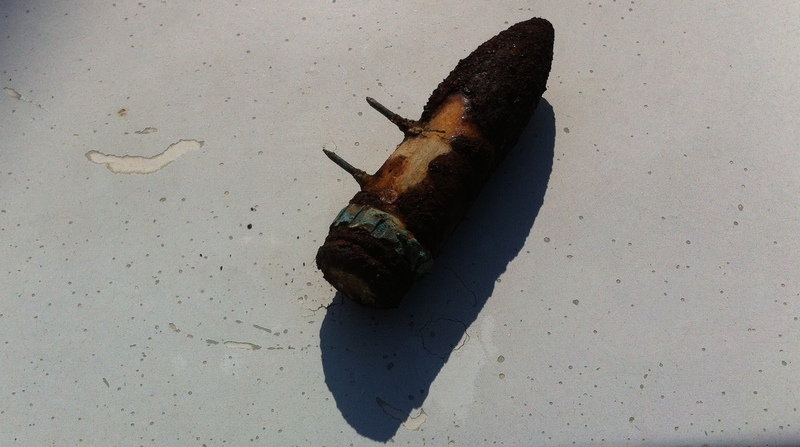 This was one of the antiaircraft bullets that was found in the bulkhead.